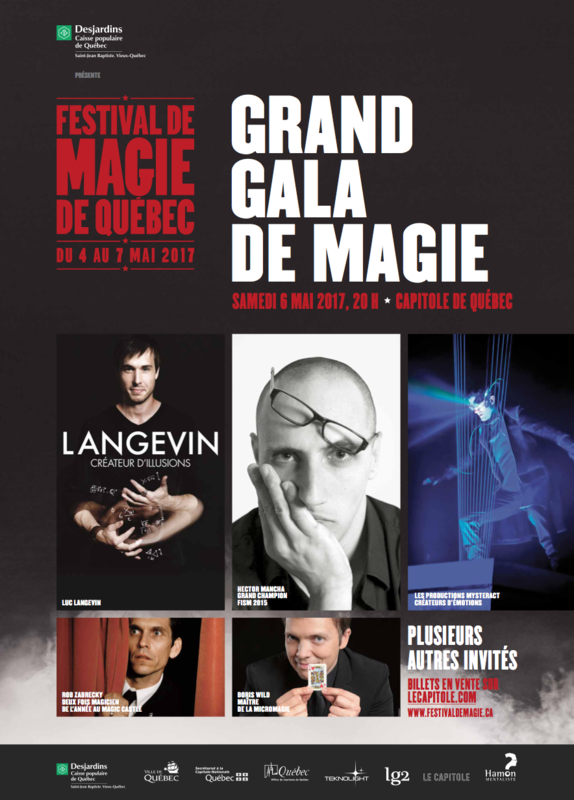 Luc Langevin in "le fil"
On stage as on television, Luc Langevin knows how to amaze his audience with breathtaking magic numbers. Before being the talented illusionist we know, he completed a Bachelor's degree in Engineering Physics and a Master's degree in Optics, as well as a PhD in Biophotonics. If he left school to devote himself to his job, this passage to the University will not be vain, far from it. Already at the time, he knew he was going towards magic. Thanks to Professor Michel Piché, he learned to master a technology that would prove very useful to invent his tricks: that of lasers. "I was very surprised that Mr. Piché agrees to frame me in my graduate studies. When I asked him, he already had about twenty students under his responsibility. I gave him my CV, where it was indicated that I wanted to become a magician. It seems that it piqued his curiosity! "Recalls laughing Luc Langevin. A scientist who wants to become a magician, the professor admits that it is not commonplace. Nevertheless, he did not hesitate a second to take him under his wing. "I was looking for a good student for my work and Luc Langevin was clearly one. Magic requires technical skill and a good understanding of optics since the illusion comes from manipulating brain mechanisms with images. He was a good candidate to help me develop new approaches in my field of research, "says the one who has been teaching at the University since 1984. Congratulations to Luc Langevin and his wife Esther Béland on the arrival of the newest member of their family! This is not an illusion!